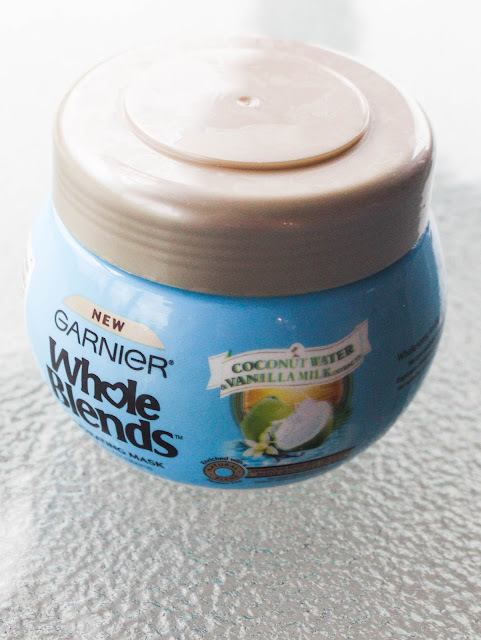 I was immediately interested when I first saw that Garnier had come out with their Whole Blends line. 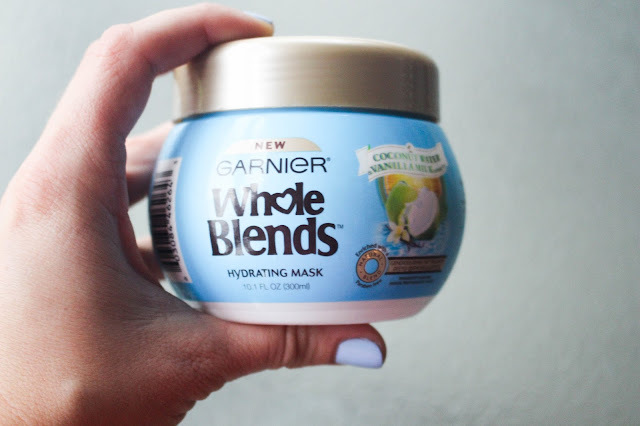 In my marketing class this Summer, one of our assignments was to do a new product review and I chose the new Whole Blends Hydrating Mask. I am so glad I picked out this new product because It. Is. Amazing!! I have tried other hair masks but this one is by far the best! First off the scent; coconut water & vanilla milk. I'm a sucker for anything coconut! I applied the hair mask after shampooing and let it sit for 3 minutes. You guys. After I dried my hair it felt smoother and so much silkier than it ever has! Seriously. Plus, the coconut scent smelled SO good and lasted up to 3 days after I used it! BONUS: this little gem only costs $6.99. Since I do get my hair colored blonde, it can feel a little dry sometimes, so I was super excited to try this product. I really want my hair to grow out, so I have decided to go as long as I can without using any heat on it! (Props just last a week, idk) Yikes. We will see how this goes.